Johannesburg, April 2019: A number of august personalities have hit the greens on Steyn City’s Nicklaus-design golf course since its launch over four years ago, including the likes of players from Bafana Bafana and the Springboks. But few are quite as noteworthy as Simthandile Tshabalala. Small wonder, then, that the international press has been quick to draw parallels between Simthandile and that other golf prodigy, Tiger Woods, especially since US golf officials have nicknamed the young star SimTiger. But, according to Tumo Motaung, Simthandile’s coach at Steyn City Club, the boy has remained calm and focused throughout the media storm that follows in his wake, describing him as hard working, dedicated and focused. Motaung is convinced that Simthandile already possesses an astonishing natural talent; if he is able to hone his mental strength, he will become virtually unstoppable. Simthandile himself appears unimpressed with his sudden fame. Instead, he remains caught up in the sheer love of the game, refusing to give up his time on the greens even when it’s dark or he has other commitments. 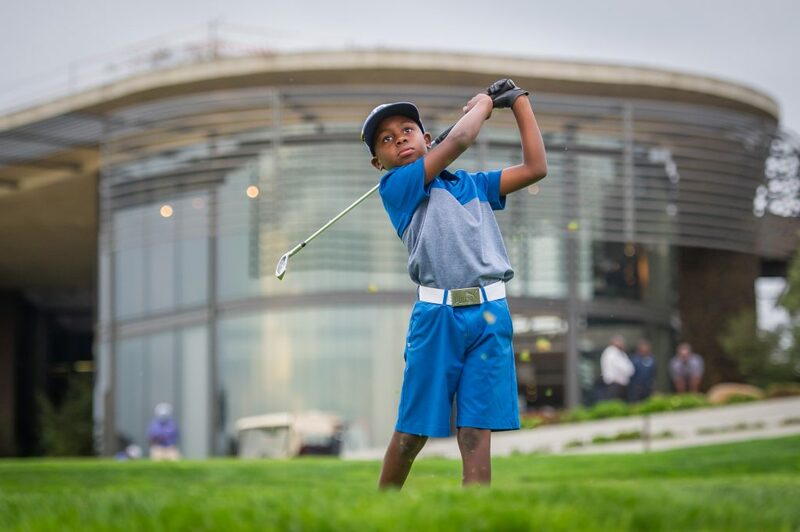 The Steyn City School learner heads straight to the golf course after lessons, making full use of the excellent facilities that pupils at this new facility enjoy. This dedication bodes well for his future career, when he hopes to emulate the golf greats of today, including Rory McIlroy, Louis Oosthuizen, Sergio Garcia, Dustin Johnson and Tiger Woods – all golfers he admires tremendously. Simthandile receives full support from his family, with his father acting as his caddy. He also has the entire Steyn City team behind him. Says Giuseppe Plumari, CEO of Steyn City Properties, “One of our goals was to create a development where youngsters feel drawn to spending time outside, instead of in front of screens. Seeing Simthandile on the greens is confirmation that we are succeeding in this goal. We also love following his story because we believe he’s a wonderful example of what people can achieve once they set out to try. We’re extremely proud to have a player of his calibre in our club,” Plumari concludes.